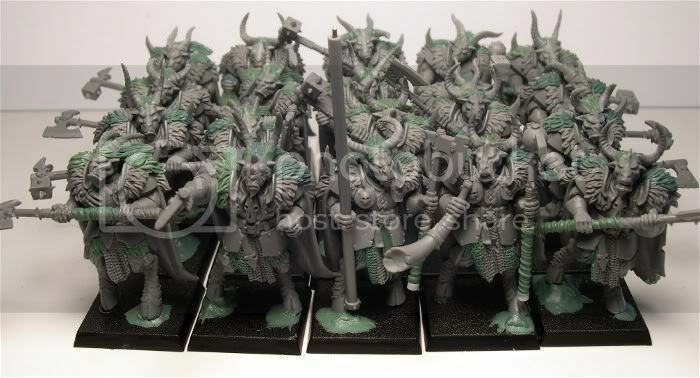 Anyone who knows my work or has read this blog knows that I have a Beastmen army that I have been working on for years. 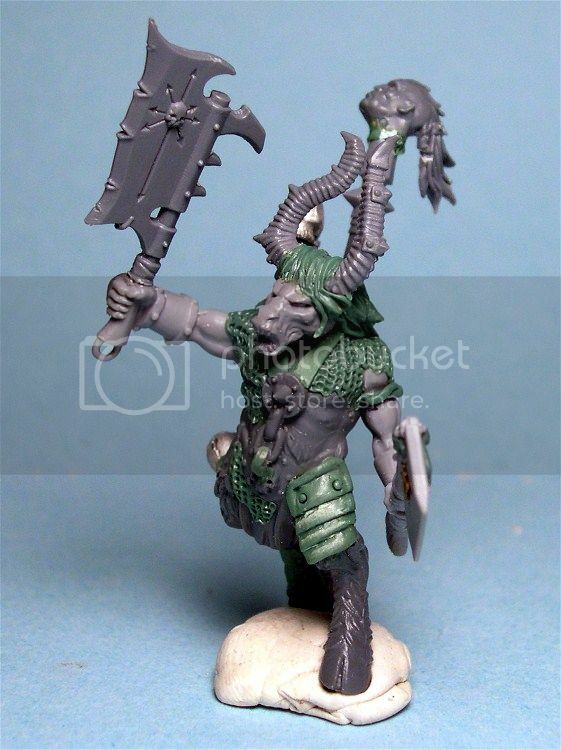 It is a labour of love that has earned me nearly half of my Golden Demon wins and, even though I don't actually play warhammer much anymore, I am still working on the army. As an artist, I do not work in a "bubble". I owe A LOT to the inspiration, technical advice and critical eye of some of my friends in this hobby. The community of painters that began to grow in the late 1990's and early 2000's has taken on a whole new life across the Internet, but sometimes the bonds of respect and friendship that form transcend the faceless web and, in lucky cases, become rooted in real meetings and opportunities to share at events like GenCon and Games Day. I know look forward to seeing my friends and meeting new ones annually at such events. Shawn "PPC" Welte is no stranger to the North American Tournament scene. 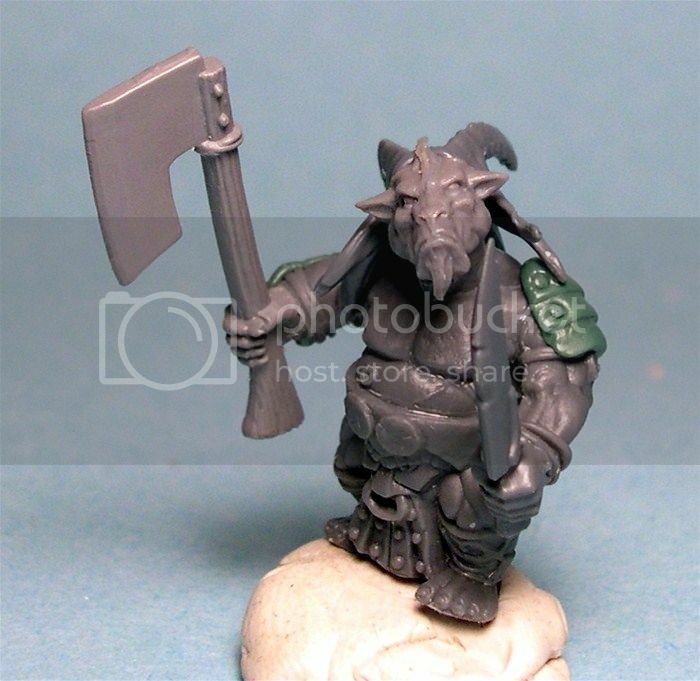 He is a great modeller with a vivid and imaginative perspective on creating miniatures. 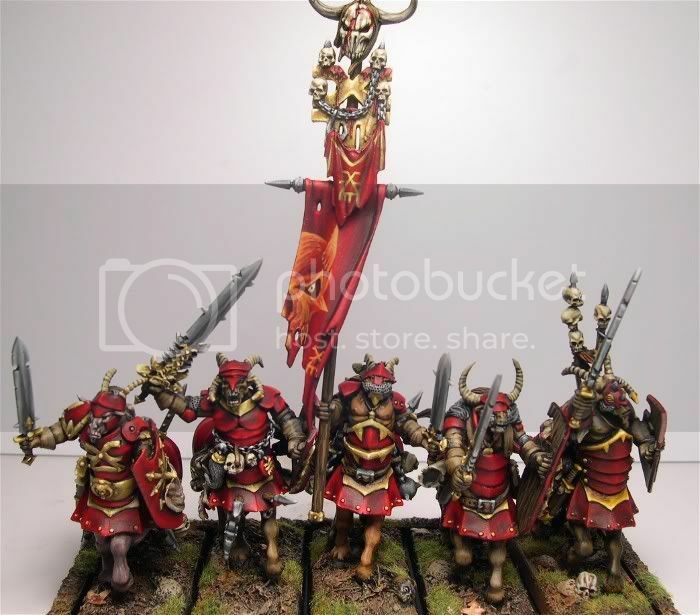 He has won NUMEROUS modelling awards and several of his armies have been featured in White Dwarf magazine as well as GW events coverage and other forums of note. 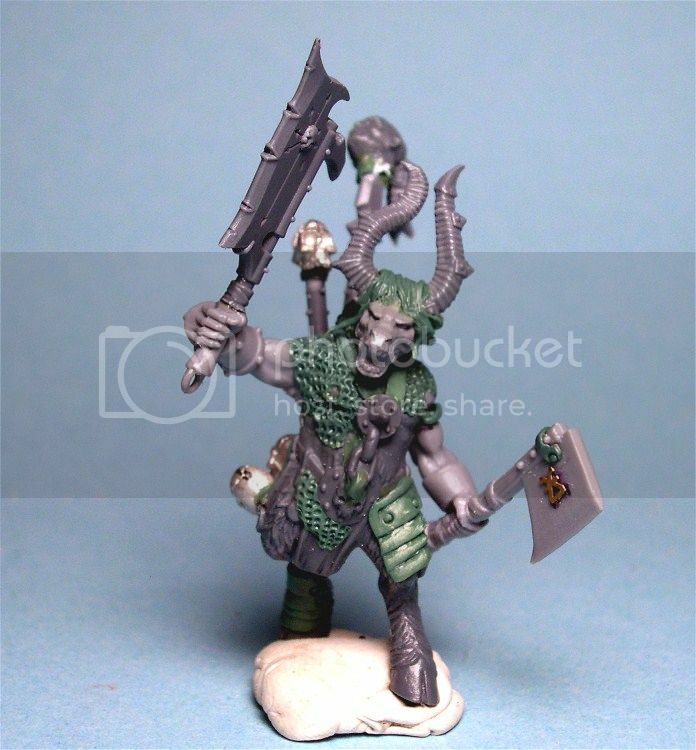 Our other friend, Mike Butcher, is an accomplished designer and sculptor (large steel real world sculptures - not just minis) and is well known in the hobby for his Nurgle pieces (though historicals seem to be his favorite topic these days) that have long given me inspiration in my own modelling. 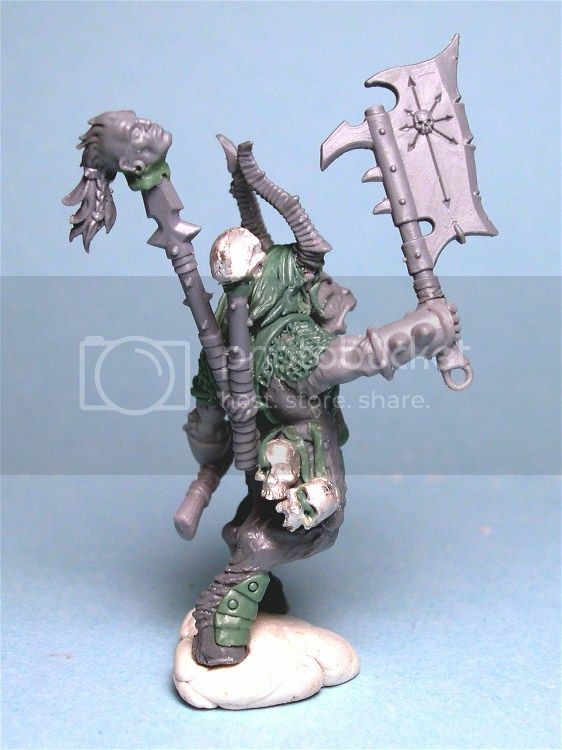 He was one of my first inspirations in converting my own models (my personal trinity of unbridled creativity and pure inspiration when I first started converting minis - John Blanche, Mike Butcher & Joe Orteza). 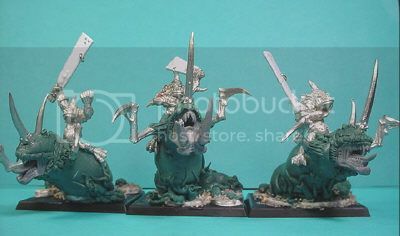 When I saw Mike's Nurgle themed pieces in the pages of White Dwarf, specifically a Nurgle Dreadnought, I was blown away. 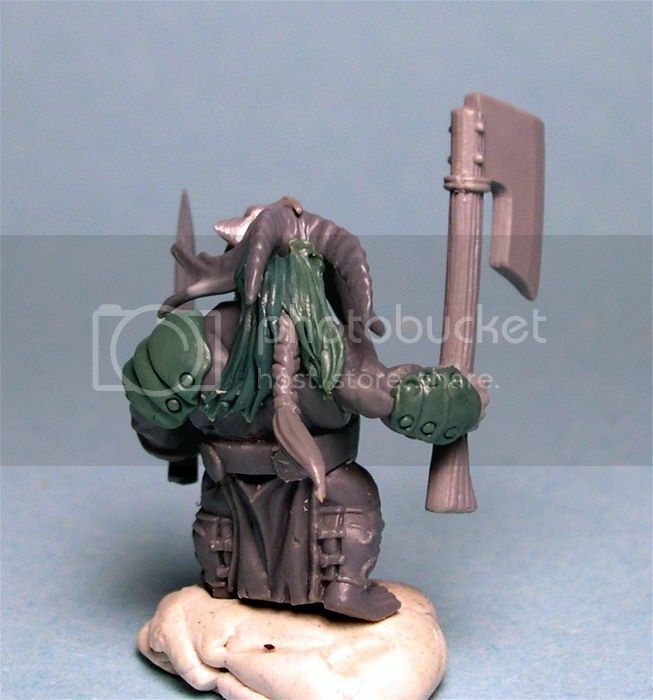 I knew I had to start cutting up my chaos marines - I had to try. 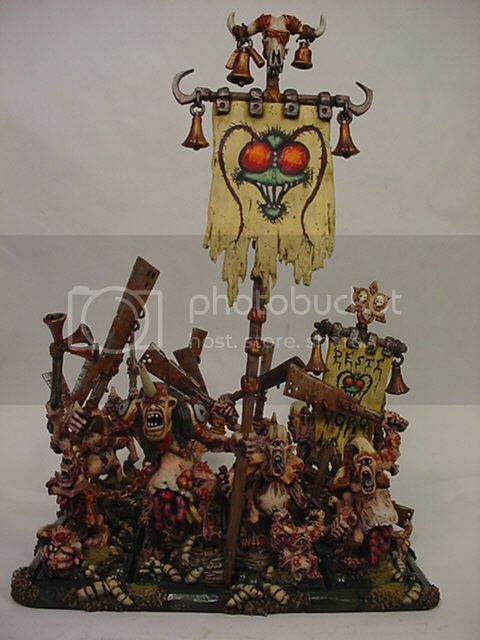 I am still in awe of his style, creativity and vision of all things Nurgle. I don't think that I could ever thank Mike Butcher enough for his inspiration. Somewhere along the way, I crossed paths with both of these guys (turns out they are really close friends with each other as well!). Now I consider them friends, and together we came up with a great idea. Shawn and Mike and I all have hobby blogs and are always on the lookout for ways to connect with our readers and to share our love of this hobby. I am so incredibly PROUD to have these in my collection! It is amazing to have the opportunity to paint models custom made especially for me by two artists who I respect so much. Dang that is just cool to say! I will now leave you an an extremely additional cool note. Shawn and Mike and I may have been the start of this, but in sharing and explaining the idea with more of my friends - many of them agreed that this build would be a really fun and creatively stimulating project for them as well! So, as suggested above, this really is only the beginning. 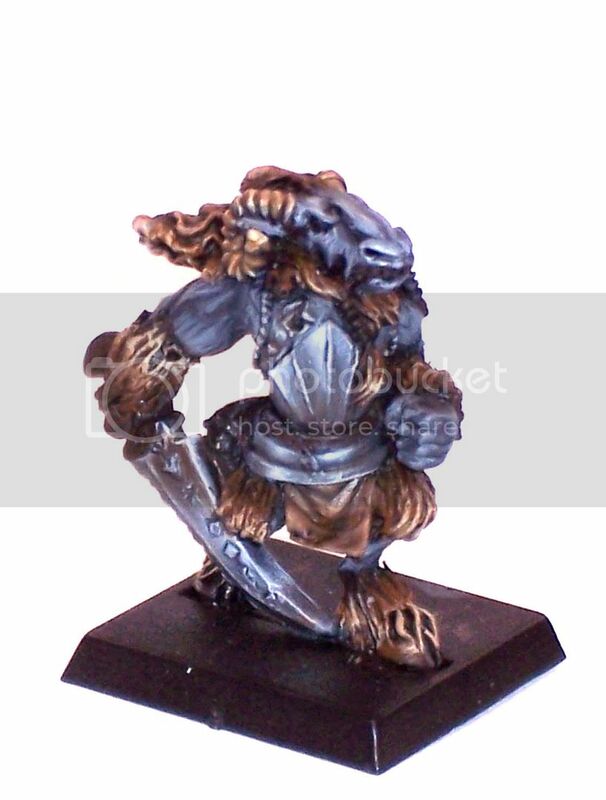 Over the next year, Lost In The Warp will be featuring new beastman models built by my friends - who happen to be some of the most well known and respected miniaturists in the world. This group includes no less than 3 (YES THREE!!!!) 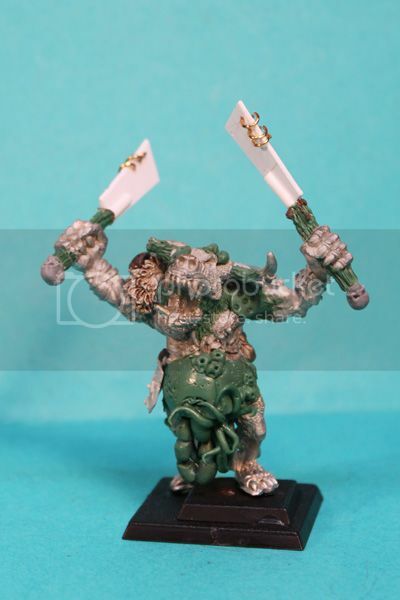 Slayer sword winners (one of which - Created by 5 TIME Slayer sword winner Todd Swanson - is already in my grubby little hands and is now one of the absolute favorite miniatures that I own!!!! to be revealed soon....). 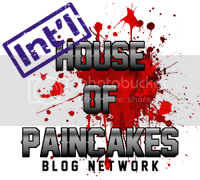 I will also be bringing you some more detailed profiles of the artists involved, more of my usual Warmachine stuff, Terrain, Competition builds, Historical models etc. etc. The next 12 months are looking good for LITW! Thanks James, look forward to seeing your paintwork on the minis.